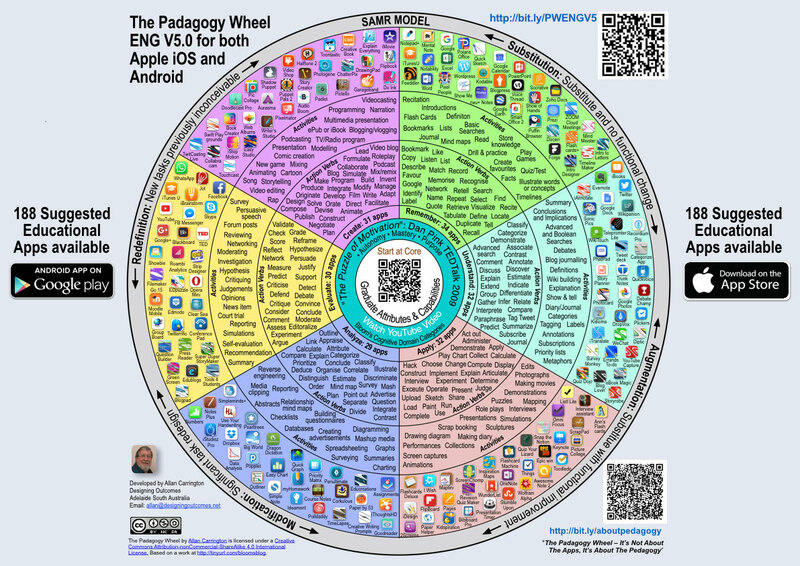 With the Padagogy Wheel Model, teachers have an at-hand reference that ties apps to specific learning outcomes directly connected to modern pedagogies and theories. They can easily sit with the wheel during lesson planning time to find tools that will best aid their students or use it during class time to extend or deepen learning towards a specific 21st century skill or content area. This connection of theory, practice, and application makes the Padagogy Wheel an invaluable resource that should be on the wall of every classroom”.